On an ordinary August afternoon, I turned into the drive-thru lane at the In-N-Out Burger on Sunset and Orange with a special mission. I wanted to see what it was like to order from the “secret menu”—the set of items not on the menu, but available to those in the know. I was also keen to find its limit. Where would the restaurant draw the line on special requests? In-N-Out’s secret menu was legendary. For decades, it had been so widely publicized, mostly by fans customizing their orders and spreading the word, that the company listed six of the most famous off-menu items on its website. With Not-So-Secret Menu as the title, In-N-Out clearly saw the irony. 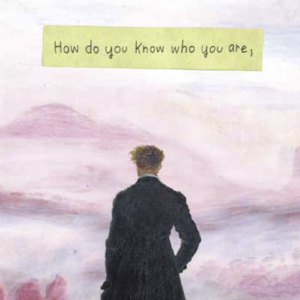 In spite of that, further layers of secrecy—and secret telling—remained. Longer lists with dozens of variations on burgers, fries, and shakes circulated in the press, on blogs, and on social media. Conflicting accounts about what In-N-Out would or wouldn’t serve kept things speculative. They also gave my outing a tinge of adventure. Once I reached a signal point in the lane, a uniformed employee approached my car with a menu hanging from her POS. To establish trust, I dutifully ordered from the laminated list first. Then I asked for the 3×3. This cheeseburger with three beef patties and three slices of cheese was on the not-so-secret menu. If my location were up to the chain standard, the request would go smoothly. I threw the curve ball last. I planned to ask for something I hadn’t seen on any list. I knew that a grilled cheese was on the not-so-secret menu, and I’d read that some customers who requested a cheeseburger with french fries inside had been turned down. I made up a hybrid just as likely to fail. “Okay, how about with onions?” I countered. This exchange confirmed my dawning realization about secret menus. Like my grilled cheese with onions, they have to be negotiated on the spot. Sometimes we’re the first to chart an off-menu course. More often, we’re standing on the shoulders of countless prior negotiators, whose efforts have solidified into that rumored list. Secret menus foster incessant bargaining because they depend on uncertainty. We can never predict the extent of a secret menu, and there’s always some doubt about what will be available to us. Why does the custom persist? I would argue that keeping the limits of hospitality veiled, no matter how lightly, serves the interests of restaurateurs and diners alike. Customers make off-menu requests for a variety of reasons. If not purely for research, my motive at In-N-Out, we do it to have our tastes accommodated, to appear in the know, or to get superior treatment. In those cases, ordering off menu makes us feel special. The belief that there’s some risk of rejection—even if only for other people—gives special orders a further air of triumph. Restaurateurs who offer unlisted items also have several possible motives. They may want to exceed diners’ expectations, reward valued patrons, or prompt positive word of mouth for the restaurant. If those items were fixed, explicit, and promised to all, they wouldn’t serve these purposes. They’d also belong on the regular menu. Keeping off-menu lists in the shadows also makes them easier to contain. If special ordering goes unchecked, it could jeopardize the economies of the regular menu. In essence, for secret menus to be socially and economically valuable, they must appear mysterious and negotiable. In dealings, however, not all follow the same rules. So much depends on the way an establishment structures the relationship between restaurateur and diner. The kind of service a restaurant provides—not by vagaries of server personality or diner traffic, but at the planning level where the bones of a restaurant form—determines nearly everything about its off-menu deliberations. It can dictate how and why a menu deviation starts, who gets it, the composition of the item itself, and whether and how rumors about it spread. It can even decide the tattle’s tone. The chasm lies between standardization and personalization. This is the strongest at limited-service chains because every segment of the company-designed encounter between patron and server is at its most rote. Regulars are supposed to be addressed the same way as first-timers. Managers don’t encourage servers to recall a repeat customer’s favorite dish or how much ice she likes in her tea. That would only slow operations down—the kiss of death for a high-volume operation. If a server does become familiar with a repeat customer, that relationship could lead to special treatment, such as extra generous provisions of fries or special sauce, but interactions like these stray from the company line. Even when a menu allows customization, the protocols of the assembly line don’t waver, and while loyalty programs tailor offerings to individuals, these propositions are algorithmic, not improvised. I don’t think it’s a coincidence that variations on the expression to hack the menu have been used to describe off-menu ordering at fast-food chains almost exclusively. This language, derived from computer hacking, encapsulates the secret-menu subculture that revolves around them. When I hear the verb hack used this way, I picture someone trying to game a system. Convinced that an organization can’t be trusted to act in her interests, she resorts to work-arounds and trickery. At the root of her approach is a reciprocal alienation: the system treats the individual as faceless and interchangeable, so the hacker views the system as a monolithic adversary. The subculture of menu hacking has this mentality in less grim form. But its logic is basically the same. The fast-food chains relate to their customers in a depersonalizing manner, so their customers’ attitude about off-menu ordering follows suit. Menu-hacking chatter teems with symptoms. In how and among whom information spreads, I notice a pattern. Messages by and for consumers that are insensitive to the burdens of restaurant owners—and, by extension, servers and cooks—run virally amok. Fan websites I examined most closely, including HackTheMenu.com, SecretMenus.com, and the “Secret Menu Items” section of Ranker.com—offer extensive pages of secret-menu lists. These lists include names of items, photos, descriptions, and tips for ordering—and all of the usual links for sharing those and one’s own on social media. For decades your choices at your favorite restaurants were limited to what was on the menu. If it wasn’t listed in black and white on the menu, you would have a hard time ordering it. The increasing popularity of secret menus has changed all of that. . . . At SecretMenus.com, we compile secret menu items from people just like you. The community then votes and weighs in on items to make sure the best always comes out on top! The menu-hacking conversations on social media aren’t just one-sided. They’re far-reaching. When I investigated the Twitter feed for #HackTheMenu, I encountered a variety of languages—English, European, and Asian—suggesting that the phenomenon was as international as the restaurant chains themselves. All together, the hackers’ chatter gave the impression of ganging up. I work at a Chipotle and if you ask any of our crew members we will tell you that we do not have nachos. Nachos normally mean that the cheese is melted and we cannot melt the cheese for you. We can however put chips at the bottom of your bowl and then build a normal bowl for you. They are not called nachos though. It’s really her final line, however, that drives home the annoyance that menu hacking can bring for restaurant workers: “And please,” Kathryn implores, “do not be rude to an employee if they refuse to call a bowl with chips nachos.” In the conversations of menu hackers, I seldom heard such a distinctly labor point of view. For the most part, the content of messaging reflects its unilateral shape. Much of it is trophy display. On Twitter, Instagram, and the like, consumers share comments and pictures of their gets. The postings of structurally unsound mega-burgers and flavor-combining shakes are low-cost, high-volume versions of the hunter’s moose head on a wall. Bloggers and journalists make trophy shows of their own. But, due to their lengthier formats, they often showcase them in listicles. Dan Myers’s 2013 compilation, “The 14 Wildest Fast-Food Secret Menu Items” in The Daily Meal, is the stock-in-trade. Some writers dramatize their catches with tales of adventure. In “McDonald’s Secret Menu Baffles Restaurant Workers in Manhattan, but They Were Willing to Try,” which appeared on Daily News in 2015, Jeanette Settembre told a humorous story of misunderstandings. James Kenji López-Alt brought suspense to his quest to order every item on In-N-Out’s secret menu. As he recounted in “The Ultimate In-N-Out Secret Menu (and Super Secret Menu) Survival Guide” in 2011 on Serious Eats, the clerk became an enthusiastic collaborator . . . before finally drawing the line. Like many menu hackers, most journalists reporting on secret menus seem unconcerned with whether or not they tax the restaurants. In the same sentence that Ayrouth said few In-N-Outs knew about “Monkey Style,” she also mentioned that many locations might “simply shy away from creating it due to its possible disruptive nature to the back of the house.” Mentioning problems for the kitchen was not to dissuade diners but to warn of an obstacle to overcome. Not surprisingly, then, menu-hacking reportage is also full of tips for taking advantage of a restaurant. When suggesting that people be patient during busy times and that they bring a list of ingredients in case the staff doesn’t know the item name, some writers almost seem considerate of operators. But their advice is just a means to the consumer’s end. Others show their connivance overtly. It’s a little known fact that any sandwich on the McDonald’s menu can be ordered “Like a Mac,” as in, “Let me get a McDouble, but make it like a Mac.” There’s even a button on the register devoted to this task in some locations. So you can order the lower-priced McDouble—hold the ketchup and mustard, add lettuce and Big Mac sauce. Total price, with substitutions = $1.49, $2.40 less than a Big Mac and all you’ll be missing is the third slice of bun, some sesame seeds, and most of your dignity. The latter didn’t really bother Bedell. The gamesmanship was too much fun. That menu hacks are generally customer imposed, not instigated by the restaurants, shows in the character of the items themselves. They tend to be things that only those who don’t work in the kitchen would come up with. Such are composites of menu ingredients or entire items. At Taco Bell, one secret-menu item, known as the Incredible Hulk, consists of a five-layer burrito with guacamole instead of nacho cheese. That’s nothing but an ingredient swap. Some well-known McDonald’s mash-ups are especially clunky. Secret-menu items such as The Pie McFlurry, a pie blended into a McFlurry shake; the McCrepe, a pancake filled with McDonald’s fruit-and-yogurt Parfait; and the McLand, Air, and Sea Burger—the innards of a burger, a chicken sandwich, and the Filet-O-Fish between the buns of one—are Frankensteinian. Note that the secret menu at McDonald’s involves the kitchen very little. All except the Pie McFlurry requires the customer to assemble them. Can such machinations even be called a secret menu? They’re more like playing with food. That customers are the instigators is clear also from the menu-item names. What corporate office would approve calling anything—even the penetration of a double cheeseburger by a Junior Chicken or McChicken sandwich—“The McGangbang”? If you ask for this in the wrong store, you might be asked to leave. 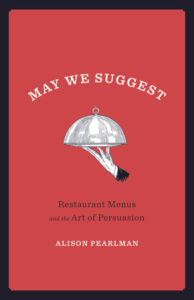 From May We Suggest: Restaurant Menus and the Art of Persuasion. Courtesy of Agate Publishing. Copyright 2018 by Alison Pearlman.